Cigar Aficionado's Cigar of The Week? 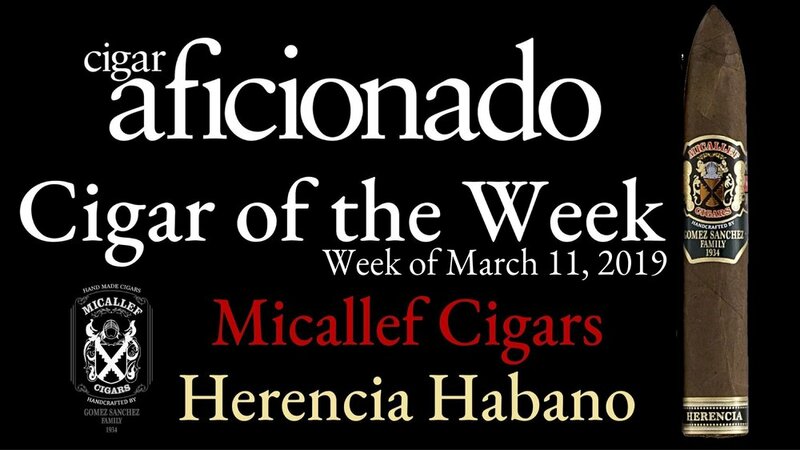 The Micallef Herencia Habano — Micallef Cigars, LLC. Tasting NoteBox-pressed with an unevenly colored wrapper, this torpedo is bready and yeasty at first, warming to show a toastier, nuttier character settling in to sweet notes of marzipan. The finish is a bit flinty.